The D23 Expo kicks off this Friday and we have so much information for you to help you enjoy your Expo experience. Tonight I want to share some information with you on Meet and Greets which are a huge fan favorite at the D23 Expo, but this year a few changes have been made in how these fan favorites will work so you will want to be prepared. 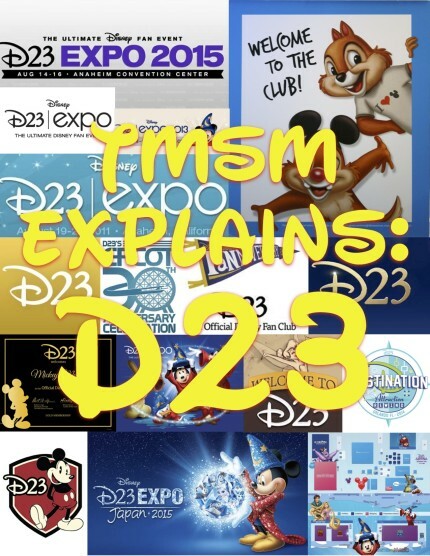 There are also some BIG changes coming to the D23 Expo Meet & Greet system this year! The 2017 D23 Expo will be the first year where ALL Meet & Greets events will be FREE. In the past what many people don’t realize is that there were two types of Expo autograph sessions. The first option was the free sessions that were listed in the D23 Expo’s schedule, these Meet & Greets were officially announced by D23 before D23 and were posted in the Expo schedule. These events were directly run by D23. The second Meet & Greet option involved private vendors that had “for cash” Meet & Greet options. For those of you who are unfamiliar with how the second option worked, in the past vendors were allowed to set up special meet and greet options where they either sell tickets and time slots, or had a “minimum merchandise purchase requirement” that you had to reach to be able to meet the star at their Vendor booth. These Meet & Greets were something that not only confused D23 Expo attendees (mainly because they were not listed in the Expo’s schedule or announcements) many people missed a chance to purchase a ticket for the booth in question’s event because the tickets were sold weeks or months before the Expo on the vendor’s website. This year the folks who run D23 decided that the only Meet & Greet sessions Vendors will be hosting at this year’s Expo will be FREE. Currently the only confirmed Meet & Greet event that involves a required purchase is the Disney Music Emporium event. This decision was made in part because there had been so many complaints about the “for pay” Meet & greets in 2015 and so much confusion over the different type of Meet & Greet/Photo opportunities. D23 even went as far as to include a clause about this in their vendor contract. As mentioned before several Meet & Greet options will have wristband or tickets released prior to the event, others will require a purchase from a specific Disney owned location at the Expo. If the app hasn’t been updated by Expo to tell you when you can buy those items and when the line for those experiences will open, check in with the area hosting the event that day.